Sleep is so important for so many reasons. Sleep improves memory, spurs creativity, and sharpens attention among other benefits (see 11 Surprising Health Benefits of Sleep). 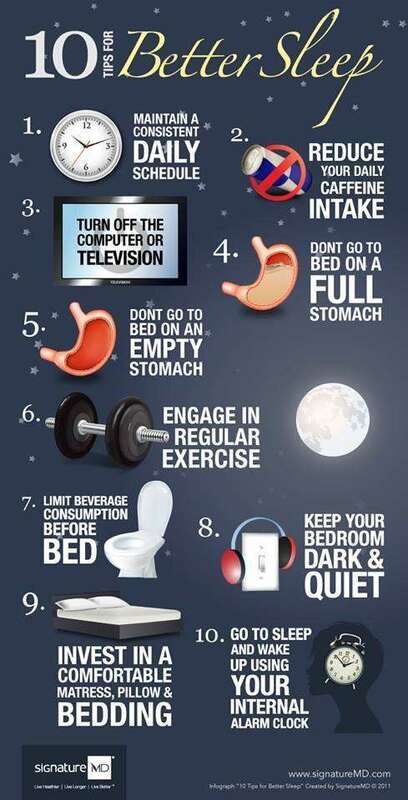 SignatureMd prepared the following infographic to show how to get better sleep.